A few races today and number of talented if not very talented two-year-olds to highlight. 2:00 Newmarket - Maiden Fillies Stakes over 7f on good to firm going. The betting suggests this is a two-horse race and it should be a cracking contest. Sir Michael Stoute's Spatial ran well on debut when second, racing in the silks of Cheveley Park Stud. This daughter of New Approach is out of a talented mare [Spacious] who was trained by James Fanshawe. A dual winner at Group 2 and Group 1 placed on a few occasions. A tough horse to beat. Sobetsu will need to be primed to lower the colours of Cheveley Park Stud but this daughter of Dubawi, trained by Charlie Appleby, is held in high regard at home. Appleby can ready a debutante and they go well at Newmarket. Both look priced to chance at 1/1 - 5/2 respectively. I would hope that backers get their teeth stuck into Spatial and Sobetsu takes a marked drift in the betting. If available at each-way prices I would definitely have a bet on the boys in blue. 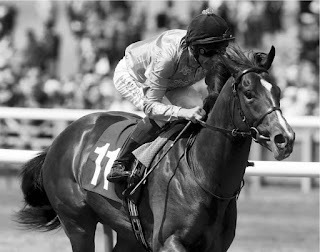 3:10 Newmarket - An EBF Stallions Stakes over 7f on good to firm going. Very excited about this two-year-old race. A few of these debutantes are held in high regard so we should see some sparks fly and a race where there will be many future winners. Here's the shortlist in no particular order: Law And Oder, Mandarin & Rummani. Remember the names of these horses because they will be winning. They are all rated highly by their respective trainers and this should be one hell of a race. Law And Order was all the rage on debut at Yarmouth and done little wrong finishing third. I'm sure connections went to the seaside course counting their chickens and unlucky to bump into a wolf dressed up as Little Red Riding Hood, with a machete stuck down her draws. I detailed the winner that day, Salsabeel, as being held in high regard. It was such a hot contest that she drifted markedly in the betting - won well at the line. The money definitely came for Law And Order and William Haggas' Novoman, who had valuable race experience. Novoman won well at Brighton next start, not that the form needed franking. Law And Order looks a fantastic buy at 40,000G. This son of Lawman is favourite in the betting and has, from my information [which I cannot detail], strong win and place claims. I would go so far to say this youngster has outstanding place claims. The interesting thing is that Rummani may well be a very hot challenger. I am sure Charlie Appleby will be well informed of where this son of Dubawi stands with Law And Order via Salsabeel.This grey colt is very good. I know this colt is very high in the pecking order for Godolphin and it wouldn't be a surprise to me to find he is fit and ready. The greatest concern with any debutante is inexperience. In addition, connections are, to a point, unlikely to go crazy to win if it comes a battle. However, I would favour Rummani because I am sure connections will be pleasantly surprised to see James Tate's colt in opposition. To add to the mix Marco Botti has a top-class juvenile in Mandarin. This bay colt is a son of Lope De Vega and a bargain buy at 55,000G. 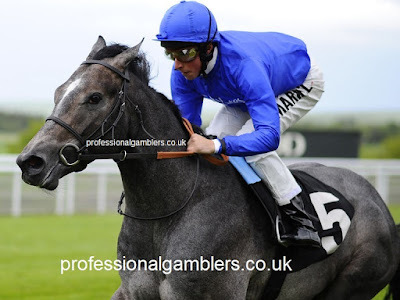 Botti sent out a good sort in Qatar Man, who was narrowly foiled when runner-up at Chelmsford City. This youngster is held in high regard and will be winning this season. I wonder, in ways, if out of the two debutantes detailed here if Botti's horse will show more inexperience? Interesting. Conclusion: This isn't any ordinary maiden. I can quite imagine these three juveniles racing at pattern class sooner than later and here they are looking for their first win. Law And Order is a fair measure and any chink in the armour of Rummani and Mandarin will be costly for their supporters. It will be interesting to see how the betting goes for this race because it could be quite volatile. Law And Order has very good win and place claims. I would be surprised if he isn't in the first three. That may not sound like I'm telling you anything but it would be a plus if drifting in the market and available at an each-way price. I would consider this a bet to nothing. I feel Rummani is sent here with high expectations. He has a level of ability. Over this longer trip horses can get away with inexperience although connections will be unlikely to go mad to win if it means he has to have a hard race. I can't help think they will use Salsabeel as a measure of how Rummani compares to Law And Order. If starting favourite I would consider it the answer to the question. However, if drifting to an each-way price I would still be betting. In some ways, I would rather Mandarin not be in this field. He may turn out to be a thorn in the side. Out of the three, I would have this as the lesser of the trio simply because I feel Botti's debutantes can be slightly more in need of the run. A negative to that thought is the fact that if a trainer really likes a horse they are likely to make sure they are primed to gain that elusive first win. I would favour Rummani but, to be fair, I would wait for the betting to settle because each of these three could make excellent each-way wagers and we simply will not have that information until nearer the start.